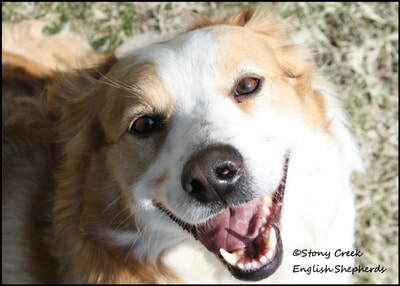 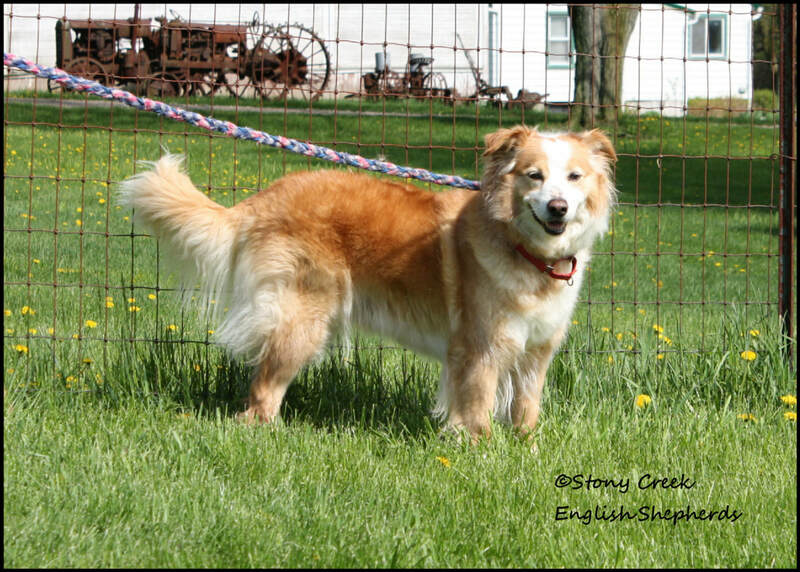 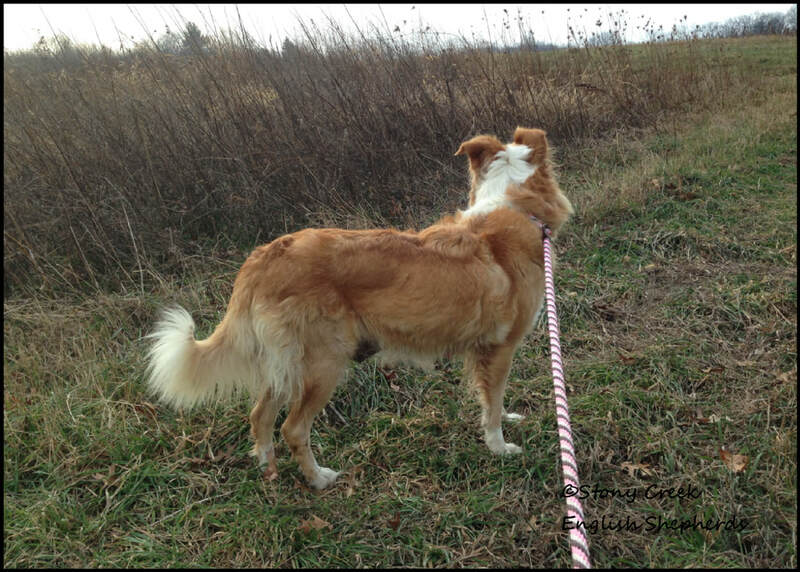 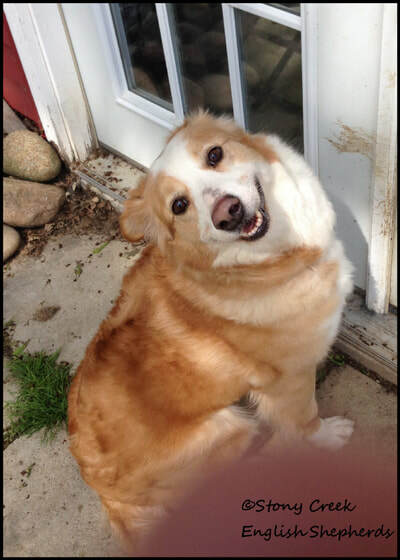 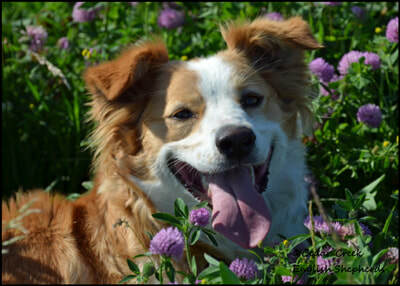 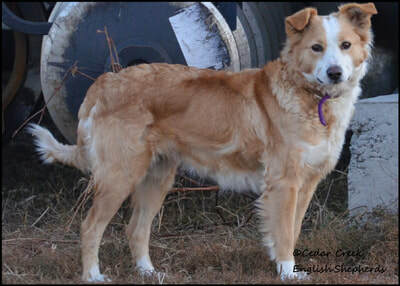 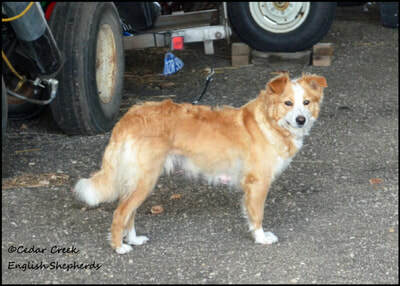 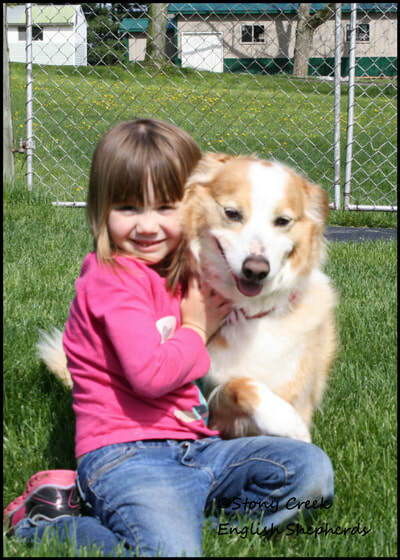 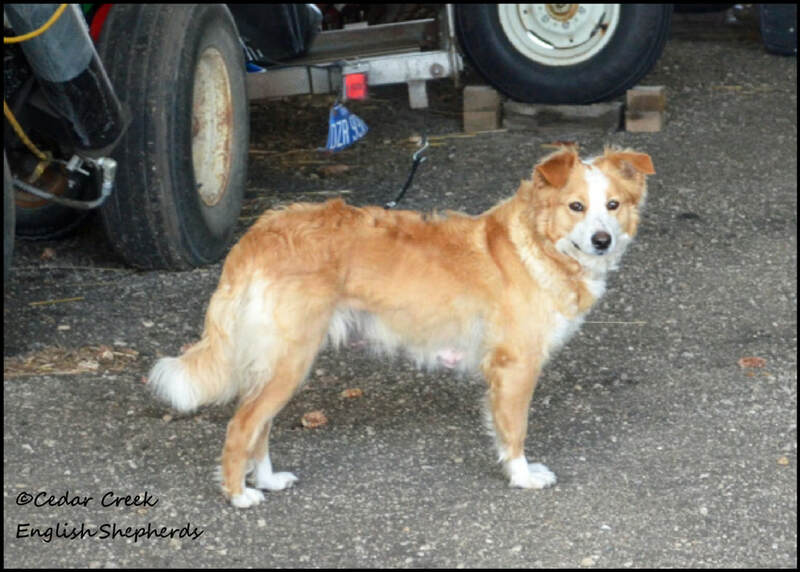 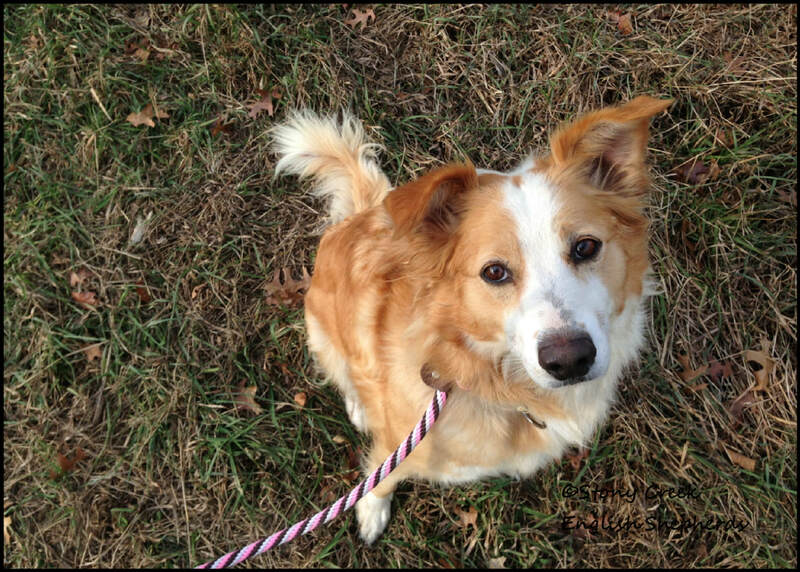 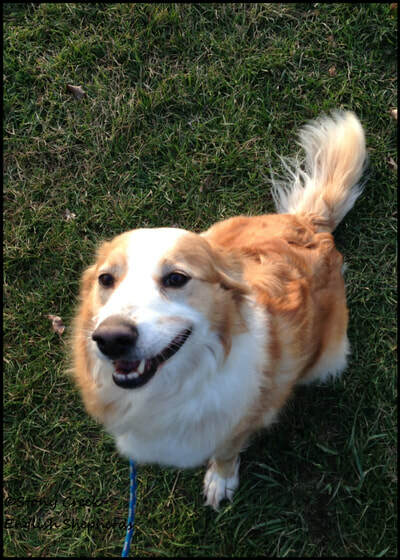 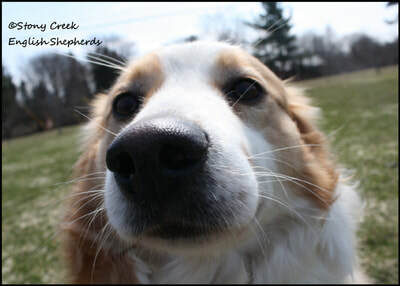 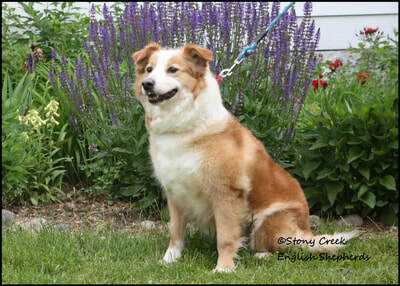 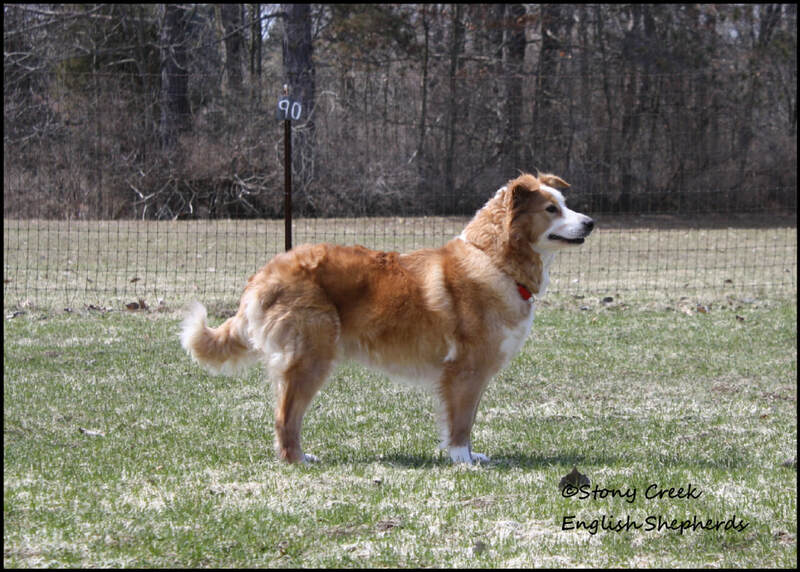 Zoe is a 48-50 pound clear sable & white girl with traditional Irish markings. Zoe has a very sweet disposition. 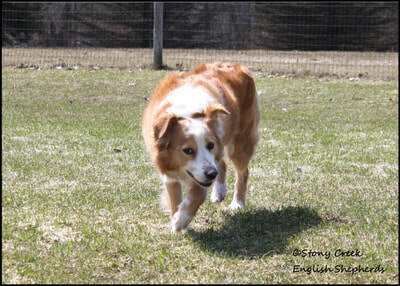 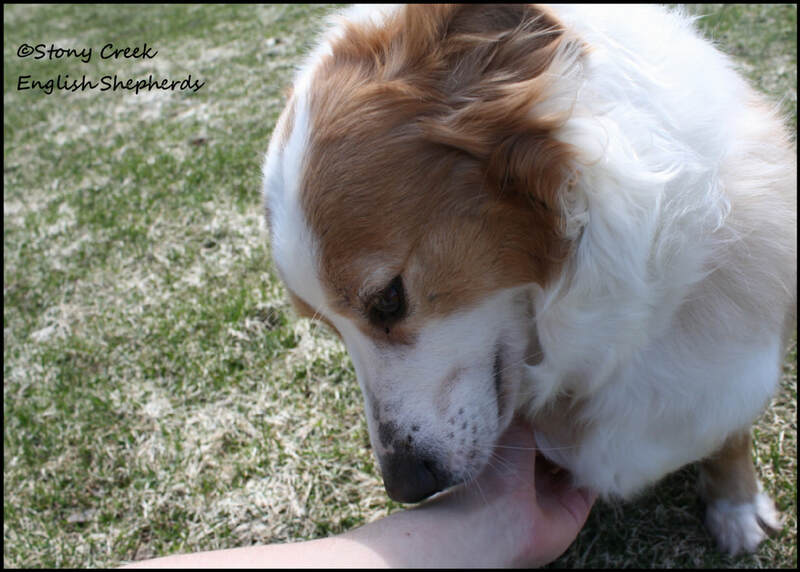 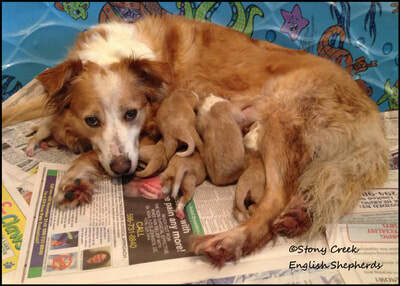 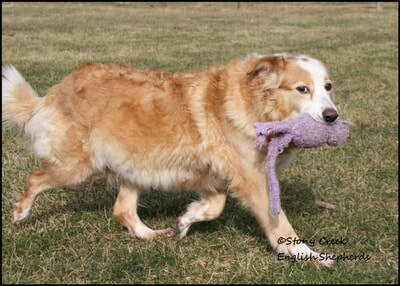 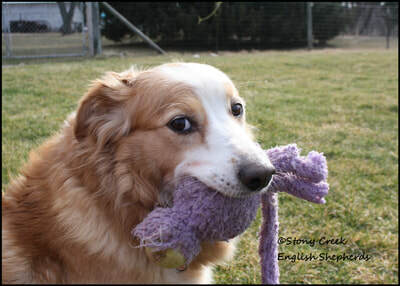 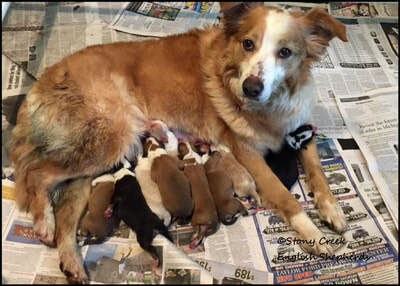 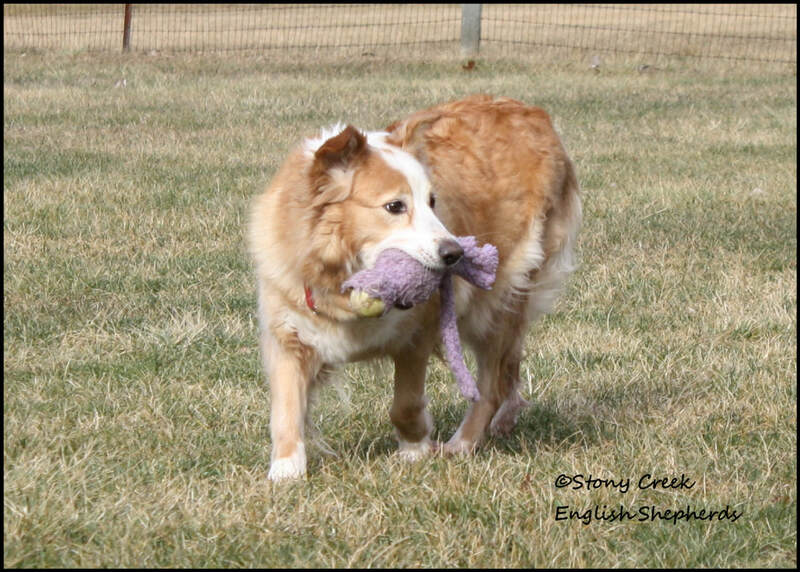 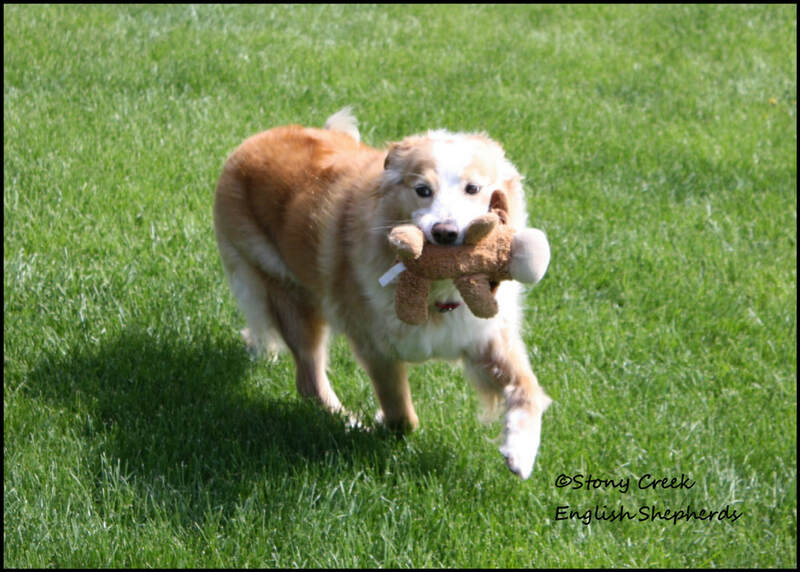 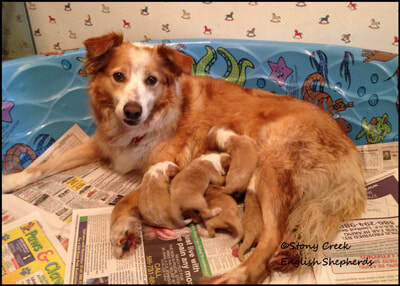 She is an easy-going matriarch that lets us (& the young dogs) know when they step out of line. 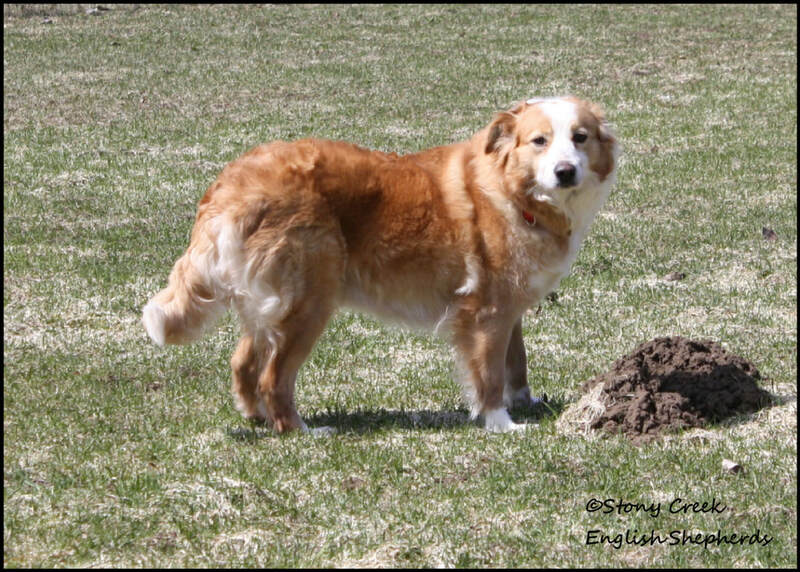 She is very alert to everything going on around her. Zoe is trusting & devoted to her family & has produced some excellent farm & family pups. 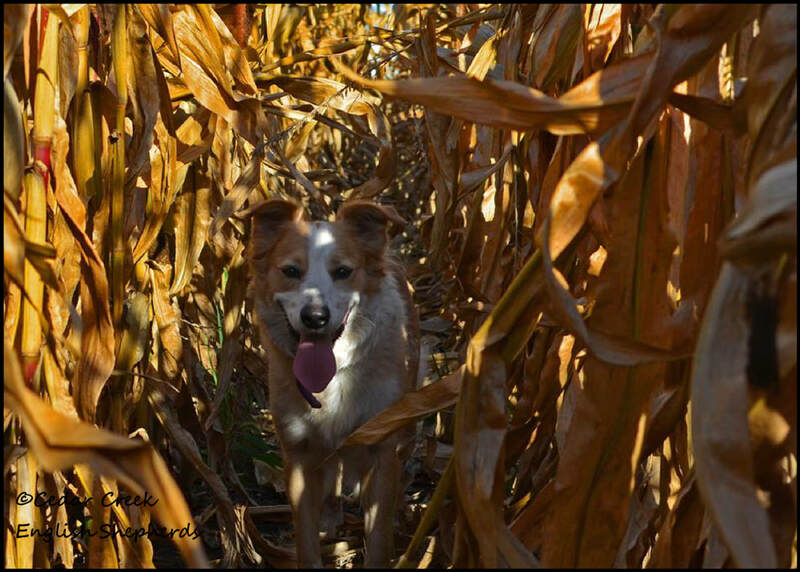 She has had 3 litters with us ("PP", "RR" & "WW") & has been a wonderful addition to our breeding program. 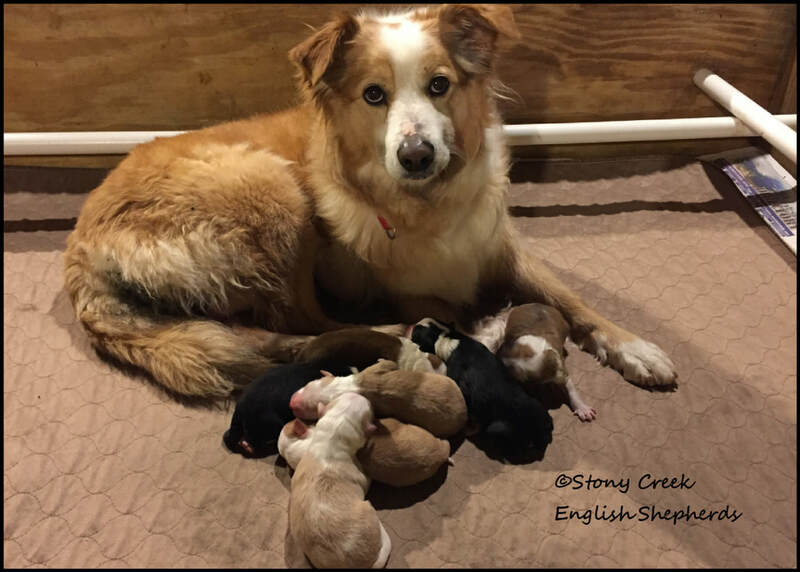 Zoe will enjoy her retirement with us as a companion & be a nurturing grandma to her daughters Molly & Lyla's future puppies.